Joyce Cantrell suffered from back and joint problems from an early age, just like her sisters, her mother, her grandmother and her great-grandmother before her. But in 1999, when she was in her early 50s, her discomfort moved to a new level. The excruciating pain she experienced made it difficult for Joyce, a computer teacher in the Bryan School of Business at the University of North Carolina at Greensboro (UNCG), to perform the job she loved. She began seeing an orthopaedic specialist. But the surgeon was leery of doing the procedure he felt she needed. Outside of work, Joyce had to stop doing things she enjoyed – such as driving herself to Raleigh to see her daughter and grandchildren. Even riding in the car that distance caused pain. In 2005, Joyce’s orthopaedist told her he wanted to refer her to a scoliosis specialist. The scoliosis specialist was Max W. Cohen, MD, FAAOS, founder of Spine & Scoliosis Specialists, who came to Greensboro in 2002 after completing double fellowship training in spine and scoliosis surgery at Cornell University’s Hospital for Special Surgery, the top-ranked orthopaedics hospital in the country according to U.S. News & World Report. 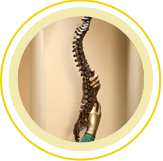 When Joyce saw Dr. Cohen, he explained that in addition to degenerative disc disease, she had adult scoliosis, which was causing her spine to curve into an S shape and collapse on itself. He said,”You are collapsing at something like 10 times the normal rate for a person your age and weight and so forth,” Joyce recalls. “I still didn’t get it.” Then he said,”If we don’t do this surgery for you soon, you will eventually end up in a wheelchair; your spine will collapse,and you won’t be able to breathe.” Dr. Cohen urged her to have surgery as soon as possible. Joyce, who had seen other relatives end up in wheelchairs as a result of similar problems, resigned her job, effective at the end of the school year and began making plans for surgery. But even as she moved forward, she was convinced her life was over. 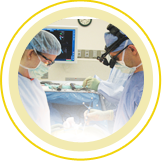 During her surgery in 2005, Dr. Cohen performed a procedure called an osteotomy to break segments of the spine so that it could be straightened. Then, he performed a spinal fusion, using titanium rods and screws to straighten her curved spine and fuse it from T-4 to L-4. Strong pain medication helped her through the first weeks after surgery. Then, gradually she began feeling better as she underwent physical therapy and began resuming normal, everyday tasks. Soon, she was able to get off all pain medications. Within three months, she was driving, and within a year she was back to a normal life. “Dr. Cohen tells you it takes a year after the surgery, because it really does take a year,” Joyce says. In 2008, she developed lower back pain due to degenerative disc disease and arthritis. Dr. Cohen performed a second procedure, extending her fusion from L-4 to S-1. Although there are still some things she can’t do, Joyce is amazed at the difference her surgeries made in her life. She enjoys water aerobics several times a week, walks the treadmill at an exercise center, and walks in her neighborhood with her husband. She also enjoys getting in the car and driving to Raleigh to see her grandkids. Were it not for the surgery, she is convinced her life would be very different. Joyce’s advice to others with back and spine problems? This entry was posted in Success Stories and tagged Adult Scoliosis, Degenerative Disc Disease. Bookmark the permalink.